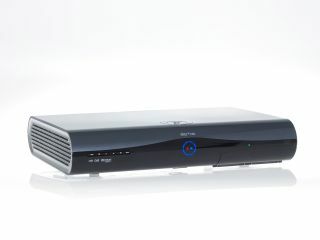 Sky's brand new one terabyte HD set top box has a secret hidden under the hood, with the company confirming that the Sky+HD 1TB box actually has a whopping 1.5TB of memory, with 400GB of that given over to Sky Anytime. When the box was released assumptions were made over Sky's revelation that it would be upping the amount of Anytime – the programs chosen by Sky that are stored on the machine for people to watch on demand. However, Sky has told TechRadar that the user does not lose any of their precious recording space – with the increased Anytime capacity actually occupying the extra 500GB that has not been publicised. So, with the leftover 100GB presumably being used for the box's other functionality that leave a whole terabyte to stick your Lost HD series in. And who would turn their nose up at that?